MONTGOMERY, Ala. – An Alabama law that allows the state to suspend a person’s driver’s license for unpaid traffic tickets without notice and any consideration for their ability to pay is unconstitutional and harms thousands of low-income families across the state, according to a federal lawsuit filed today by the Southern Poverty Law Center (SPLC). The lawsuit describes how, under an existing rule of criminal procedure, Alabama courts routinely suspend driver’s licenses for nonpayment of traffic tickets without prior notice, an inquiry into an individual’s ability to pay, or an express finding that nonpayment was willful, as required by the Due Process and Equal Protection Clauses to the U.S. Constitution. The Alabama Law Enforcement Agency (ALEA) carries out these suspensions and refuses to reinstate driver’s licenses until the individual has paid all outstanding fines and costs to the court. Alabamians impacted by this punitive practice are stripped of their ability to support themselves and their families, as drivers’ licenses are crucial to securing and maintaining employment, driving children to school, and meeting basic needs. 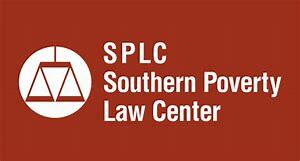 The SPLC seeks a preliminary injunction to halt the practice while the case is before the court. In 2013, Plaintiff Sharon Motley was ordered by the Montgomery County District Court to pay $310 for a traffic ticket and court costs even though she was unemployed at the time. When she failed to pay, ALEA suspended her driver’s license and neither the court nor ALEA asked about her ability to pay prior to suspending her driver’s license. Her driver’s license remains suspended today. Individuals with a suspended driver’s license often risk driving to maintain their livelihood and support their families, the lawsuit states. If stopped by police, they could face additional penalties including up to six months in prison and hundreds of dollars in court costs. Plaintiff Lakendra Cook’s license was suspended earlier this year when she couldn’t afford to pay two traffic tickets totaling $456 in fines and court costs. Cook works the night shift at a warehouse located eight miles from her home and barely earns enough money to pay her bills and put food on the table for her 10-year-old son and elderly grandmother. Sometimes she has no choice but to drive on a suspended license in order to get to work; take her son to school; and travel to their doctor’s appointments. The lawsuit asks the federal court to declare Alabama’s law for suspending driver’s licenses for nonpayment unconstitutional and issue an order blocking ALEA from suspending driver’s licenses for nonpayment under the law. It also asks the court to require ALEA to reinstate any driver’s license previously suspended solely for nonpayment.